Home → Economics for Life → Uber Teaching Moments Galore! 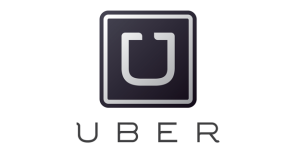 After meeting an Uber developer at a University of Waterloo hackathon, a student posted this paper – “The Effects of Uber’s Surge Pricing – A Case Study” – by Jonathan Hall (Head of Economic Research, Legal and Public Policy at Uber Technologies), Cory Kendrick (Data Scientist at Uber Technologies) and Chris Nosko (Assistant Professor, University of Chicago Booth School of Business). It is perfect for an intro micro course, illustrating how price adjusts to equilibrium from shortages and surpluses, and for discussing the efficiency outcome of Uber’s surge pricing technique. For teaching purposes, here is my pdf that highlights the most relevant parts of the (short) paper. Surge pricing adjusts fluctuating demand and supply towards an equilibrium. In the face of excess demand, the higher price reduces quantity demanded as potential riders seek cheaper alternatives (including waiting for the surge to subside), and increases quantity supplied of drivers offering rides. Surge pricing leads to “efficiency gains from both an increase in the [quantity] supply of driver[s] … and an allocation of supply to those that valued rides the most.” This creates “consumer surplus and producer surplus through matches that wouldn’t have happened” without surge pricing. You can take a typical graph of deadweight loss through underproduction (for example, Microeconomics for Life, 2E, Figure 4.11a), and point to the quantities in the deadweight loss range, where marginal benefit (the maximum a consumer is willing to pay) exceeds marginal cost (the minimum a supplier is willing to accept), so that a mutually beneficial trade is possible, but won’t happen without the right pricing incentives. Also worth discussing is the paper’s claim of “an allocation of supply to those that valued rides the most.” What is controversial (and common) about this claim is that if makes market allocations sound not only efficient but also just or fair. Those who are willing to pay the most, get the rides. But markets allocate products and services to those most willing and able to pay. I think it is important to emphasize to students that if you don’t have the money/income, no matter how desperately you want a service (like education or health care), you will not get it. This allows discussion of the equity issue (versus efficiency).